Today, many real estate documents are handled electronically. But it remains clear that notarizing a document, under the laws of all states, means witnessing a signature in real time. The notary’s witnessing role serves to verify to the public that the person who signs a paper has been personally identified, and freely signed the document. Not to be deterred, technology is changing the way society defines witnessing. With the advancement of webcam technology and novel legal provisions, notaries are remotely witnessing signatures and verifying documents in several states. This new process is known as RON remote online notarization. So far, reviews in the industry are mixed. The best way to proceed at the current time, according to the National Notary Association, is to insist on in-person notarization. In-person signing, it asserts, protects the public and the transaction. In contrast, the Mortgage Bankers Association (MBA) and the American Land Title Association (ALTA) jointly regard remote online notarizations as an attractive consumer benefit. Still, the groups express concerns that different states have taken different approaches and they call for uniform standards to be adopted. Notaries themselves point out that remote notarization goes beyond electronic notarization (eNotarization), which can take place in the physical presence of the parties, using paper or an electronic journal. Remote notarization raises special concerns, because the signing happens at a distance. The notary cannot pick up and handle physical proof of identity belonging to the signers. Virginia. In 2011, Virginia was first to enact a law allowing remote notarizations. An Electronic Notary in Virginia may electronically notarize a document in the physical presence of the signer, or use audio-video conference technology to perform a remote notarization online. Montana. Since 2015, within Montana’s borders, notaries public may perform remote notarizations using real-time webcam technology. Remote notarization can be paired with eNotarization or traditional paper notarization. Notaries must save recordings for a significant span of time – 10 years – lest any future disputes arise about a given signature. Texas. An Online Notary Public, as commissioned in Texas, may perform remote notarization using audio-visual conference technology. Rather than a physical ID, verification of the signer’s identity employs knowledge-based authentication, involving a requisite number of correct answers to personal questions. This follows the example set in Virginia. Nevada. Nevada’s Electronic Notaries public may perform their services using electronic tools or with RON through live, online audio-video calls. Minnesota. Effective Jan. 1, 2019, the state of Minnesota enacted a remote online notarization provision. The notary must be registered with, and authorized by, the Secretary of State. New Ohio legislation is moving the commissioning of notaries from county courts of common pleas to the Ohio Secretary of State, whose office is now required to set standards for online notarizations and online notaries. This sets a good example for all states, as it locates the authority over in-person and RON within one single government office. Michigan is currently working on allowing both eNotarization and remote notarization. Indiana, Tennessee, and Vermont are also joining the trend. Significantly, Tennessee’s incoming law will enable notaries located in the state to perform remote online notarizations wherever the signature physically occurs. 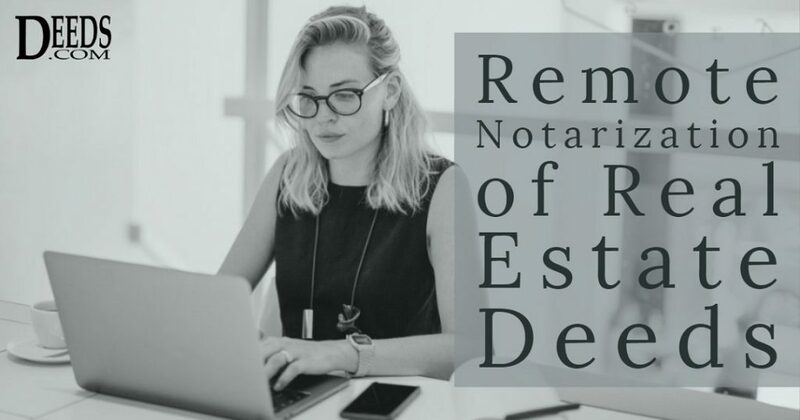 Kentucky already allows its commissioned notaries to perform eNotarizations with the DocVerify e-Notary platform, which removes the need for paper or a rubber stamp. And the National Notary Association observes that Kentucky is among nearly half the U.S. states that will be allowing remote online notarizations by way of audio-visual conferencing technology. The continuing education of notaries public, with an eye to helping notaries detect duress, undue influence, fraudulent intent, or fake identification, and prevent defects in notarizations. Research into occurrences of RON fraud. Support for the development of online fraud prevention mechanisms. A notation on all notarized documents indicating whether RON or in-person notarization took place. This would be especially helpful in any fraud analysis. Online recording of the full action, to make every element easily traceable. Significant periods for retaining recordings. Uniform means of verifying signers’ identities whether for RON, in-person eNotarization, or paper. ALTA offers a thorough checklist for developing state laws. Deed fraud and related crimes are increasingly common. Fraudsters are ever vigilant for new opportunities. Proper, careful notarizations comprise a key element in preventing fraud that can end up invalidating mortgages and embittering lives. Although eNotarization is becoming a new standard in many transactions, RON is new. It is unsettled in law and practice. It is potentially attractive to sophisticated criminals. We note that Virginia currently recognizes interstate remote notarizations as valid. Usually, states that allow RON expect the notary and the people signing documents to perform the action within the state. Virginia’s less restricted approach has led to mortgage and notary services promoting eClosings carried out online by Virginia notaries. Whether states other than Virginia must acknowledge the validity of this practice raises yet untested legal questions. Until we see uniformity on the issue, we must urge caution. Paperless eClosings may represent the trajectory of progress in our digital age. Yet, at present, Deeds.com does not submit documents for e-recording if they have been remotely notarized. As a reasonably consistent legal infrastructure develops, we will keep readers posted.